The World Is Your Oyster (Card). 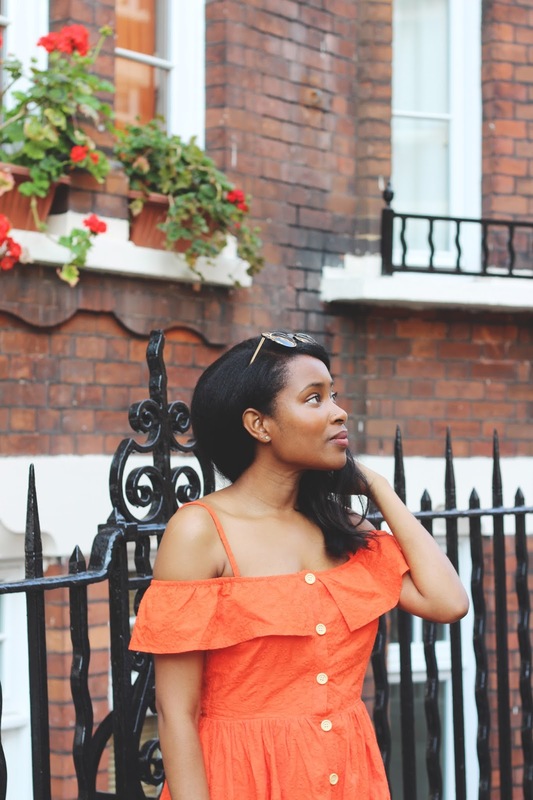 I'm a very much 'Live in the future' type of gal, so I tend to forgo enjoying the moment and instead I send myself into a panic worrying about every minute detail of the future, but I've set myself a mini challenge or summer bucket list of sorts. Several teeny challenges to tick off as the next month and a half roll by, or at least until the crisp cool air of September arrives. Travel to at least one country. Meet three new people and go for a coffee with them. Travel to at least one new city in the UK. Do a London 'Staycation' and explore a new part of the city. Speaking of dresses, I picked up this beautiful Harry Dress from Joanie Clothing a few weeks back using a gift card I've had since February, and I'm so in love with it that it has inspired me to (as the saying goes..) dress like there's no tomorrow. Joanie have been kind enough to collaborate with me on a giveaway for you lovely readers! 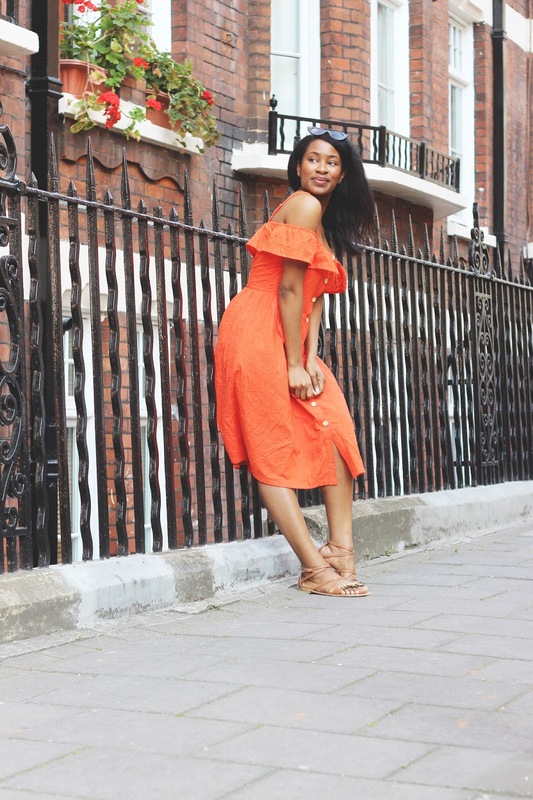 All you need to do is be following myself and Joanie on Instagram, and simply comment on this blog post letting me know which item you love on the website (and if you've followed both accounts). A winner will be chosen at random on August 1st and you'll be give £50 to spend on the site - How delightful! (PS this one is open internationally). Let's hope this summer will be brilliant for us all! Following you both! i'd love the Farrah Can Can Dancers Frill Jumpsuit! What a beautiful dress and great photography as usual. I hope you tickets off all the things off your summer list! Just followed Joanie too because I wouldn't mind a cute thing. Definitely loving their '70s inspired slogan t-shirts. 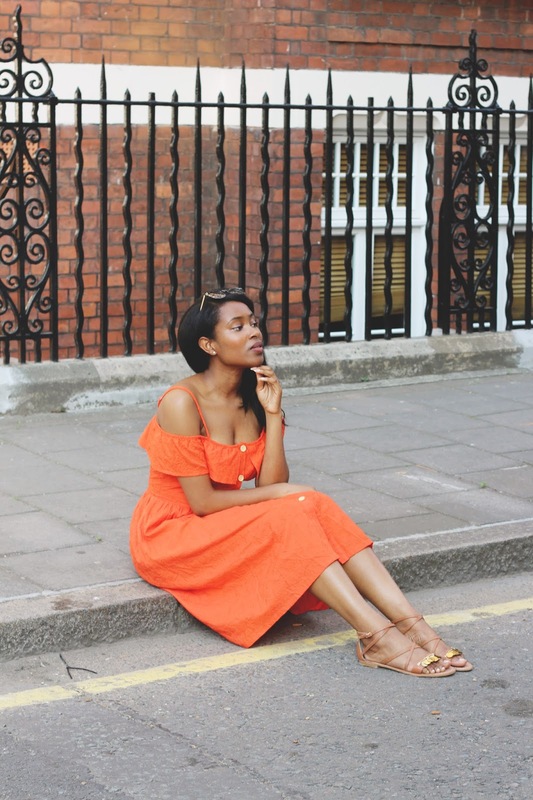 Your post makes me wish I was in London this summer, wandering around its buzzing streets! But I'll have to borrow your idea and make a summer bucket list so I enjoy where I am, too. Great idea! The Pepper Bicycle Print Shirt Dress is my fav, and makes me want to grab my bicycle and go for a ride today! That colour looks so good on you �� I've followed you for ages as you well know :) and have followed Joanie since just before they launched - I'm a big fan! I think I'd go for the Dylan dress. Super cute and it has pockets!! I would really really love the Ellis Mirrored Tile Print Dress. I would love the octagon shrimp glasses. You look so lovely I'm your dress! Following both your accounts and I love the bird print tea dress. The Harry Dress would be a lovely pick me up after a long year teaching... something that wont get covered in paint! ��.. i follow you both. Ps you look lovely. Very summery! Am following both (as booksnbrooches) the flora sunflower dress is absolutely stunning, I'd love to wear it! Hi, we're connected on Instagram :) I love the Pepper Bicycle Print Dress (amongst others!). Your summer bucket list is really cute Sade, I hope you're able to tick everything off. 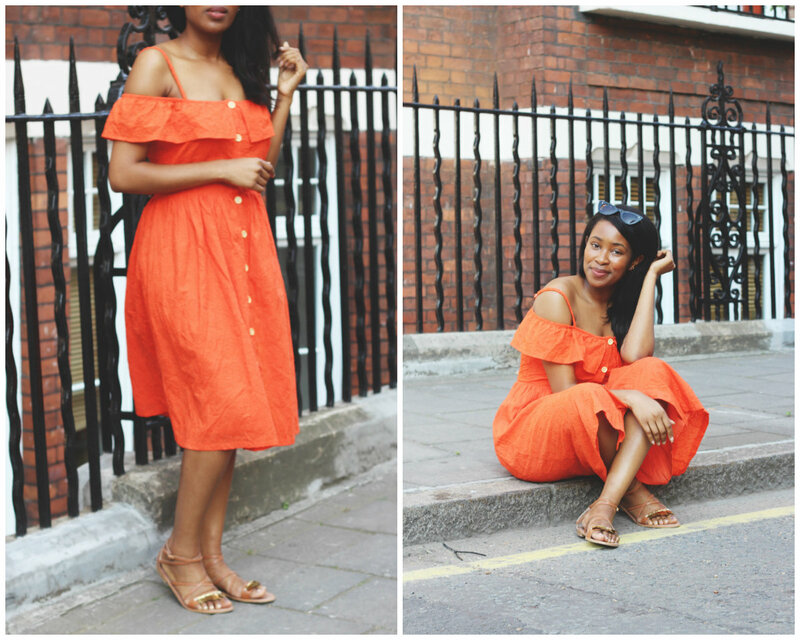 The orange dress is really pretty and just perfect for the summer. 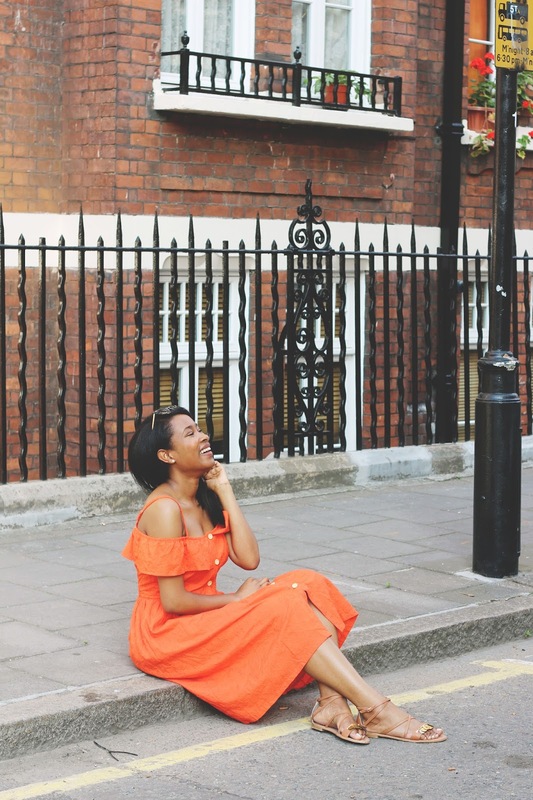 I really love yellow, orange, ankara and floral dresses for Summer. 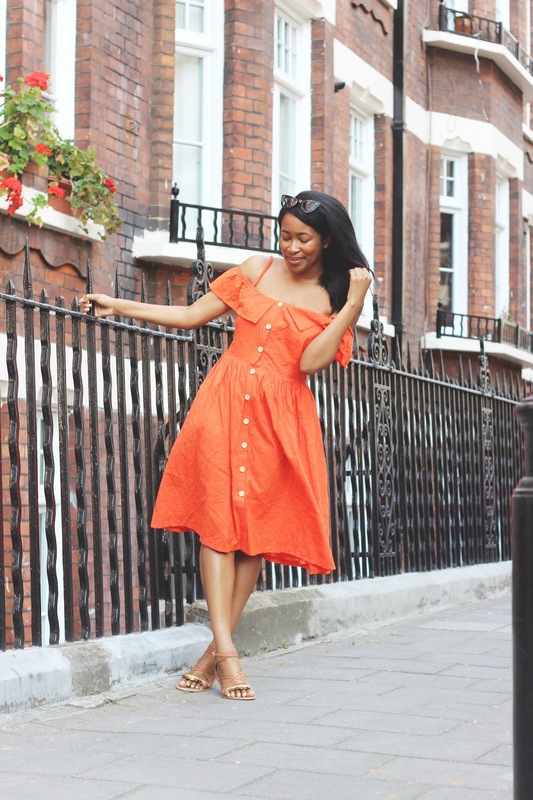 I'm in London at the end of the next month, hopefully we can meet up this time around and you'll be able to tick one item off your Summer To Do list! You look lovely! That colour is great on you, you're really selling this dress. I love the idea of a summer bucket list, I should write one before summer gets away from me! Hey! I'm so glad that I've found your blog and Instagram. I really love your style, and it was so nice recognising bits of Liverpool in your pictures (I did my Part I there). I'm currently coming to the end of the summer of my Pt1 placement, so I can only imagine what it feels like to be at the end of your Pt2 :) I hope you have a wonderful "last summer of freedom".